Posts to your Facebook business page keep people returning. How informative you make your posts determines how many times they’ll get shared (their ultimate “reach”), and, if done properly, will provide a steady inflow of new, interested people who will ‘like’ your page and expand your audience. Your Facebook marketing strategy always starts with your Facebook Business Page, then building an audience who “likes” your page. Unlike a Facebook personal page, where you build relationships by inviting people to be your friends, or responding to their friend requests, Business Page audiences are built from anyone “liking” your page, not just people who are your friends. Once they like it, you have access to them for a variety of purposes in a variety of ways. Building your audience, however, requires a good understanding of how Facebook views your business page, and what they allow you to do with it. Your new posts aren’t automatically seen on the timeline of everyone who’s ‘liked’ your business page. In the early Facebook days, any post you made to your business page would be seen on the timeline of anyone who had liked your business page. Make a post, everyone sees it – a simple marketing strategy – and one that was widely abused. 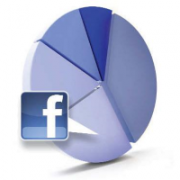 The ‘like’ audience became solely a target for promotion, instead of “friends of our business”, as they should be. Recent Facebook changes make self promotion no longer possible – in fact, if you aren’t careful, your posts might not be seen on any of your friends’ timelines. Facebook has a ‘guideline’ – albeit changing all the time – that no more than 20% of posts on any personal timeline should come from a business post. Your business posts are competing for that 20% space with all other businesses that your business friend has ‘liked’. Once that space is filled, your post won’t be seen on their page. A fact – even good business page posts now only end up on about 20-25% of your “liked” audiences timeline – and, if you’re not careful, that can easily become 0%. 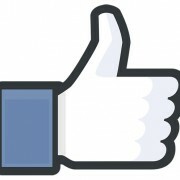 People “like” your business page because they like your business and what it does. Your business posts should be focused on topics of interest to your audience – if you are in the coffee business, talk about coffee – where it comes from, how it gets to you, and how to find the type of coffee you like. If you’re in the landscaping business, talk to them about soil, lawn care, and feeding of the plants they currently have. They’ll be interested in what you say, and come back to you when they want to buy something. Target based on gender, interests, age, location and more. As you refine your targeting, you’ll see how many people your post could potentially reach. Post timely content. For example, if an important holiday has just passed, it’s time to post about the next holiday or event. Test which posts work best and review their performance. Create different posts with the same objective, but switch the photos and copy. Respond quickly to comments on your posts to let fans know you’re listening to feedback. 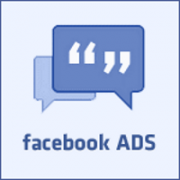 You want to advertise, so do it with a Facebook Ad, not a business post. Read how here. Ads can also be targeted to people who have liked your business page, but posts on your business page are no place for ads. Facebook will just not show them, and they won’t be seen. 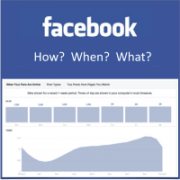 Interested in more information about Facebook Marketing?